It's always nice to be presently surprised by a release, no matter how big or small the game is. 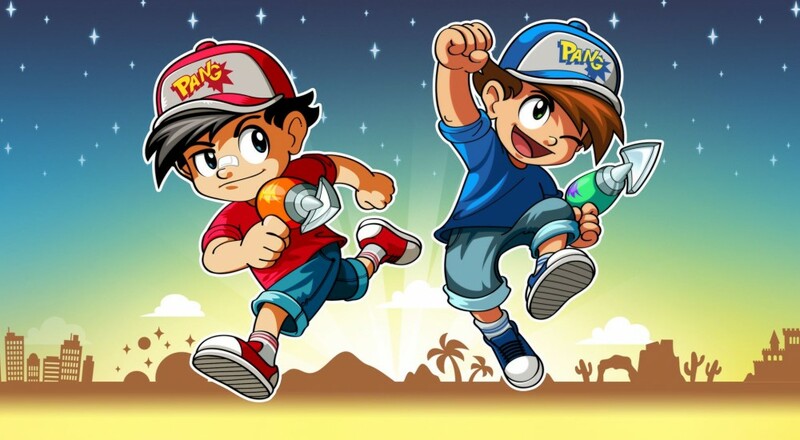 Pang Adventures snuck out a few weeks ago on Xbox One, PlayStation 4 and PC. The game is part of the Buster Bros. series here in the US, so it's been more than 20 years since the series has had a proper release. In the game two brothers fight off an alien invasion by popping giant bubbles that split and bounce across the screen. It's part SHMUP and part puzzle, and it's a whole lot of fun. The game offers a few co-op modes of play, unfortunately the main puzzle based one (Tour Mode) is locked from play online until both players have completed it in single player. Something a little odd. So instead we dove into Panic Mode, which we'll like akin to a survival base mode. Check out this gorgeous looking game in motion. It's so damn appealing! The game is out now on Xbox One, PC, and PlayStation 4 for $9.99. It features two player couch and online co-op. Page created in 0.5746 seconds.